Say good-bye to worries forgetting about the sprinkler and saturating your garden! 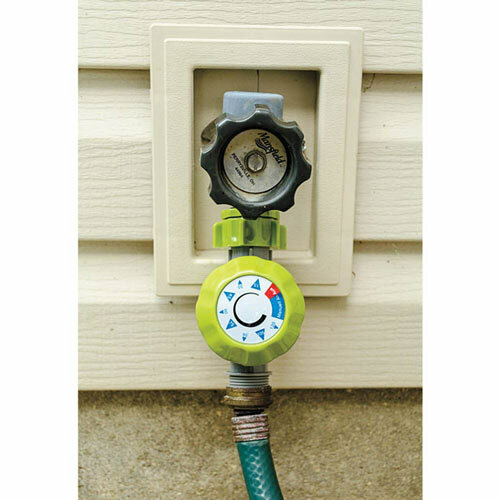 This simple mechanical timer enables you to water your garden anywhere from 15 minutes to two hours. So you can focus on other garden tasks without worrying about turning off the water. Fits a variety of garden hoses—and has a bypass so that you can use the hose for other water jobs. No batteries are required.